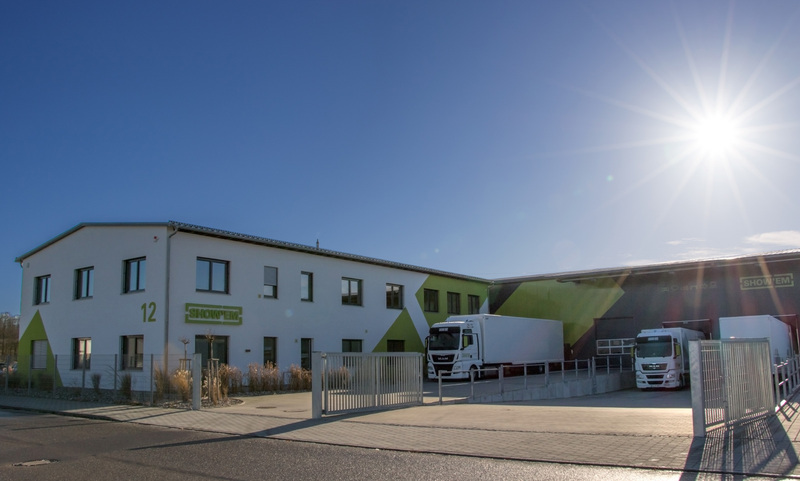 We have been working in the Ingolstadt area since 1990, albeit under a different name at the time and initially out of a garage. But things really took off fast. 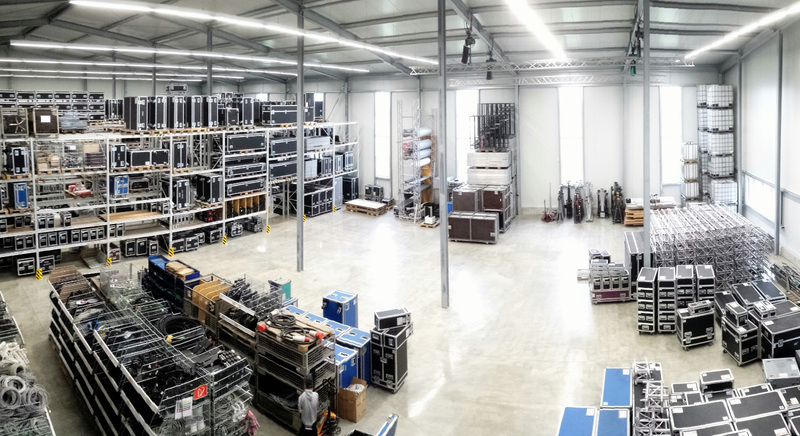 Today, the two-person operation has grown into a company at the InterPark industrial park with a team of nearly 30 people and 1,400 square metres of storage space to house equipment for sound and lighting technology, stage and set construction, video and multimedia applications. People say it isn’t unusual for companies to get their start in a garage. We also began in a garage back in 1990 with speakers that we built ourselves. We called the venture “Fläshlayt”. In 1995, this evolved into the official company NEUE MEDIEN, with its own tax number and office address. We cut our teeth on live concerts − jobs that we tackled with speed and dedication. A key decision with a long-lasting impact which we made at this time was to partner with the French brand NEXO. Together with NEXO, we were able to meet the needs of high-calibre acts at live festivals by providing equipment that was up to professional industry standards. During the techno craze in the ’90s, we oversaw THE dance events in Ingolstadt. Soon we had learned how to provide the right sound for 2,000 guests and were familiar with the ins and outs of a real light show. We have never forgotten these lessons from our early days and are still putting them into practice the right way to this day. Apart from technical development, our current managing directors have also pursued further professional education. 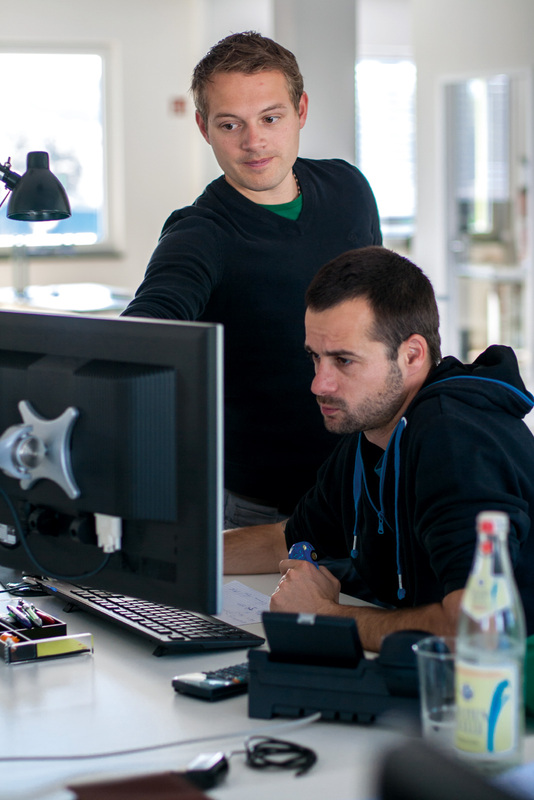 Dieter Mantzel completed his degree to become a qualified event technology expert (Meister für Veranstaltungstechnik), while Christian Eck finished training to become a certified electrical engineer (staatlich geprüfter Elektrotechniker). What’s more, both men received their certificates to serve as vocational trainers, which made it possible to welcome the first apprentices seeking to become event technology specialists to our team. A qualified expert entrusted specifically with apprenticeship and training activities has been with our company since 2014. Vocational trainer Dominic Attenberger received his certification from the Chamber of Industry and Commerce, and he is responsible for the members of the next generation, who receive broad training in all disciplines related to event technology. We believe that apprenticeships and training are an investment in the future of our own human resources. Well-qualified and trained staff are the only way we will be able to cope with challenges presented by the market and the high expectations of our customers. That is why we take our responsibilities as a workplace for apprentices extremely seriously. Each year, we bring on just two new apprentices to ensure that there is ample time to mentor them and impart a sound basis for everything they need to learn. Tricky issues in our industry, such as working hours and occupational safety, are monitored very closely when it comes to our apprentices to guarantee compliance with all requirements. After all, training someone means assuming responsibility. This is why we make every effort to provide qualified vocational training and are a member of the event industry’s vocational initiative “100% – die Ausbildungsinitiative der Veranstaltungswirtschaft”. A vocational education is not the only thing that our apprentices should get during their time at our company; they should also receive an overview of the industry and what opportunities are out there for them. Becoming an event technician will provide them with many opportunities later on. They can choose to become a qualified expert or even go freelance, for example. The apprenticeship is divided into different parts, which we structure in three stages. In the first year of training, our apprentices are “rookies”. They work primarily at the warehouse, where they learn about our processes, equipment and especially material in detail. We show them how to deal with media, lighting and sound technology, as well as rigging and stage construction. In addition, we take them along to jobs in the field for the first time and show them the workflows at productions. The “beginner” portion of vocational training marks the second year of the apprenticeship, when our apprentices are often at production sites or in the office. They get to know lighting, sound and video in greater detail and expand their knowledge of these areas. At the office, the apprentices learn more about project management work. They receive insight into technical planning, theoretical preparations, event organisation and execution. Slowly but surely, they become involved in some small projects at first until they become responsible for planning and carrying them out on their own. Towards the end of the apprenticeship, the apprentices then become “trainees”. During this period, preparations for the final examinations begin to ramp up. The “trainees” are provided with their own working space at the office, which they can use as needed to study and work on their final projects. Our vocational trainers and skilled, young team are available to answer questions of any kind. We have been working together with AUDI AG since 2001, which has developed into a strong partnership that continues to this day. The collaboration allows us to stage a large number of notable industry events for the company. We have risen to meet the needs of our customer over the years and have since made the company’s high standards our own. Another long-standing working relationship is with EDEKA. Apart from events for the company, we also provide assistance and support for the annual order trade show in Munich and the Westpark shopping centre in Ingolstadt. In addition, we stage cultural events for the city of Ingolstadt and other public institutions and associations. 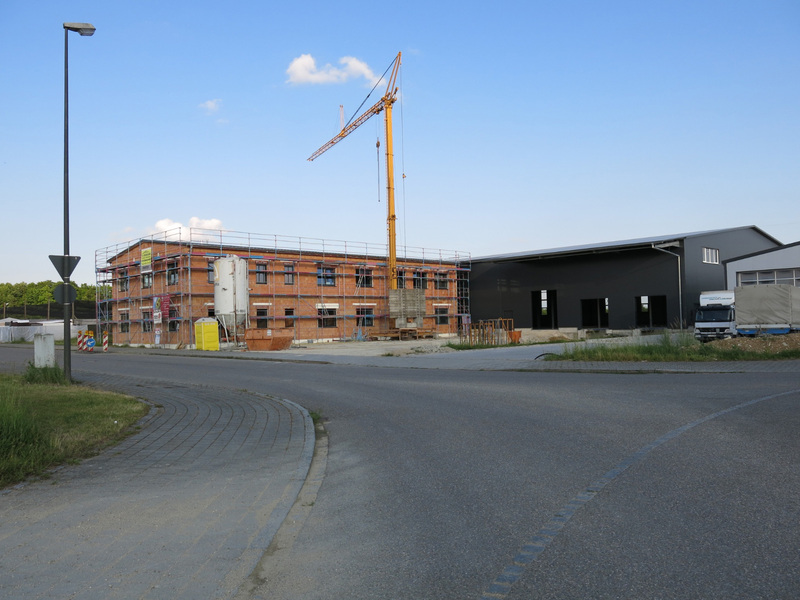 SHOWEM has been located at InterPark since 2005, where it moved into its own property in Gutenbergstraße in 2013. The company building’s photovoltaic system not only provides electricity for our computers and printers, but also for our first electric company car, which serves as carbon-neutral transport for us when we head to local meetings and appointments. Working in a way that is both environmentally friendly and sustainable goes without saying here, which is why our technical equipment is as energy-efficient as possible and why the components we use for trade show construction are reusable. This means we save time and money while preserving nature and its resources.